Connie is the owner and founder of Apex Academy of Professional Grooming & Animal Arts. 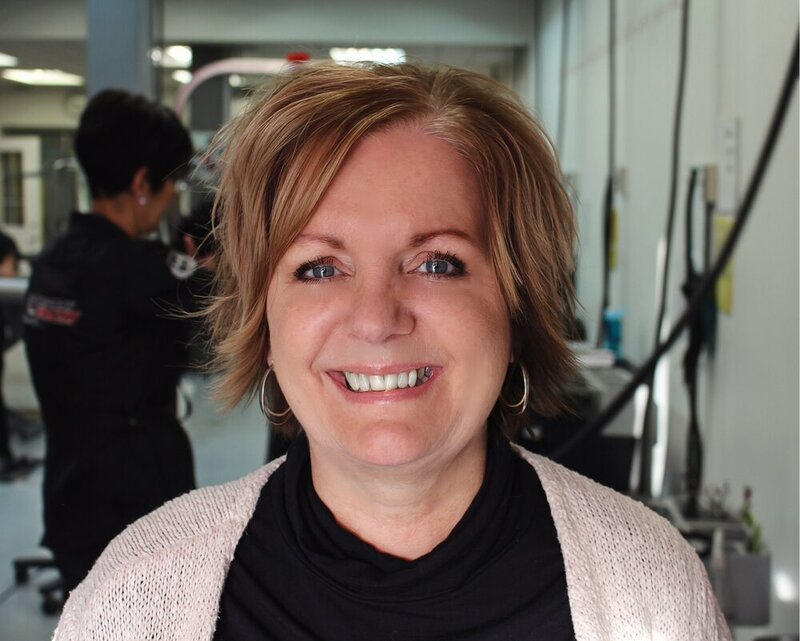 Connie has 20 years of teaching in an elementary school before starting her grooming career, and she has used this knowledge and experience to create an exceptional program at Apex. "Once a teacher, always a teacher" came full circle when she started Apex Academy. Connie is passionate about this profession, and her passion is reflected in the many successes she's experienced in her three related business; Zoom Zoom Groom, PreZoomably Cats: Feline Groomz & Roomz & Apex Academy. Rhonda is the administrator for the Apex Academy of Professional Grooming & Animal Arts. Rhonda is the resident comedian on staff – her laughter is contagious. Not only does she bring joy to the salon, but she also works tirelessly on ensuring all the students are taken care of, and the school is running efficiently. Rhonda is the organizer and chief who always has new ideas and propositions to bring to the plate. We also must add that she is Randy's sister and Connie's sister-in-law, and they love her! Rhonda is a fantastic gift to Apex Academy of Professional Grooming & Animal Arts! Jenna is the manager of the school, and she loves working with the students. She is a Certified Pet Stylist. Jenna is so crazy passionate about grooming- you will see her giggling and kissing her furry friends all day long. She is an incredible finesse groomer who loves to create beautiful styles for her clientele. Jenna has been in the industry for eight years, and she has an astonishing amount to share with students. Jenna is everything you want to see in a successful groomer. She is dedicated, hard-working, a perfectionist, and very particular about the finished product. She is an excellent example of calmness and kindness, and she can groom any dog. Janet is a Certified Pet Stylist, an instructor at the Academy, and a manager at Zoom Zoom Groom. Janet has immense compassion and love for this profession, and it is evident in everything she does. She wallows in every groom and smothers her furry clients with hugs and kisses. Her patience and dedication to the students of Apex Academy are commendable.  She has a strong background in conformation showing, and handling experiences and her knowledge is shared with the students of Apex Academy. We thank Janet for her patience and kindness. She provides all students with incredible grooming techniques and skills, enabling them to be exceptional groomers upon graduation. Brittney is a Certified Pet Stylist, a Certified Feline Master Groomer, and the manager of PreZoomably Cats:Feline Groomz & Roomz. Brittney is the Feline Instructor for Apex Academy, and she loves working with students! Brittney’s talents are out of this world! She can groom all sizes of dogs, and then switch roles to transform into the most fantastic cat groomer ever. She can be wrangling the worst cat with hisses, growls, and threats while giggling at the same time. She has an unbelievable amount of love for cats and is taking the cat world by storm. Don't ever tell her that your cat doesn't need to be groomed because it grooms itself, as she will morph into a fearless ambassador of education! Teaching is a very noble profession that shapes the character, caliber, and future of an individual. If the people remember me as a good teacher, that will be the biggest honor for me.